When you ask Americans why they don’t travel abroad, the top reason they cite is cost. But once you get on that plane to a cheaper part of the world — Southeast Asia, say, or Central America, or even, yes, Northern Europe — man do the prices drop. You won’t realize how rich you are until you land in one of these countries where the pint you pay $6 or $8 for at home is now less than a buck, or the bottle of wine at a fine restaurant runs all of $4. How you get to these countries near and far is up to you (though you can score cheap airfares and save money on flights in all sorts of ways). Once you get to your destination, though, you’ll find yourself having adventures, exploring beaches and jungles, and still living cheaper than you do at home. What’s the most underrated reason to travel abroad? Turns out, it’s also cost. 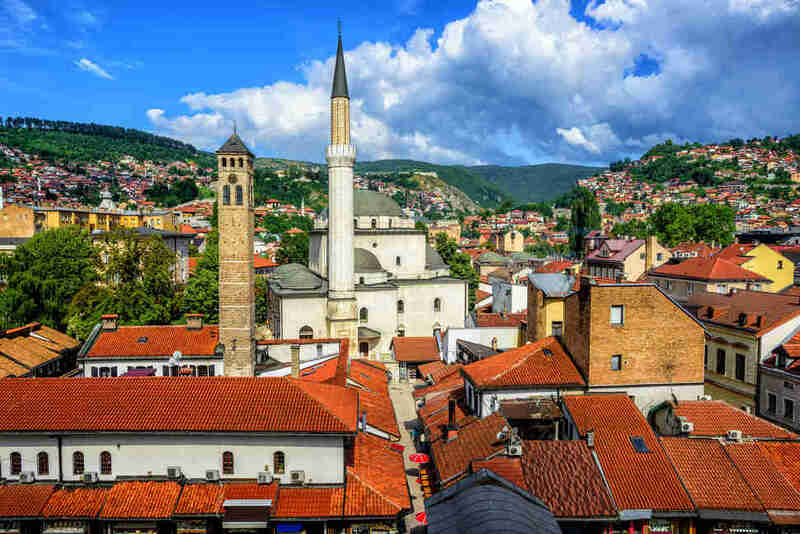 How to roll big on the cheap: Bosnia is an amazing slice of the past in present-day Europe, a glimpse of a time before the homogenized nation-states we know today became the norm. Its eclectic mix of religions and cultures fascinates with the exotic, and then surprises with the familiar. It’s cheap, too: Dorms in hostels go for $10, and a restaurant meal will set you back $5 or $10, with street food costing significantly less. Beer is about a buck, and you can get excellent local wine for similar prices. That is, if you pay at all — Bosnians are notoriously friendly and thrilled to have visitors, so don’t be surprised if they try to treat you. It’s also filled with natural wonders and amazing, tragic history. Sarajevo has ruins from the 1984 Olympics that are freely explorable (just watch out for landmines — I’m not kidding) and a great river canyon for hikes. An ancient, rickety train threads its way through the mountains between Sarajevo and Bosnia’s other great city, Mostar. For a terrifying early morning voyage, part history lesson, part slow-motion roller coaster, pack into dirty-windowed wooden cabins with cigarette-smoking laborers, eat your börek (basically a Bosnian sausage roll), and watch the Balkan Mountains fall away beneath you. How to roll big on the cheap: Life is good in Spain’s sunny south, where you can go to almost any bar and fill up on cañas (half-pours of fizzy yellow beer) and carb-y tapas like croquettes and patatas bravas for less than 10 euros. In Granada, some spots still offer botanas (portions of food get larger with each round of drinks you order), so if you play your cards right, dinner is basically free. When all else fails, you can always spike a 2-liter of Coke with rum and join the local teens in a botellón (technically illegal street parties) down at the plaza. But even highbrow culture is everywhere, and often free. Take a self-guided walking tour of historic architecture, wander into museums admission-free, or stumble on government-sponsored concerts and fairs (yay, socialism!). A hostel bed can be had for around $25/night, tickets to a bullfight run as little as 10 euros, and while you can easily pay $50 for a flamenco show in Madrid or Barcelona, the art form actually originates in the south, where you can catch some of the world’s best dancers, singers, and musicians performing for tips in dimly lit underground peñas. How to roll big on the cheap: If we’re being honest, in a country like this, it’s hard not to roll big. Prices for accommodations vary around the country, but you’ll be hard-pressed to spend much more than $5 a night. Meal in a restaurant? How does one dollar sound? A beer? Another dollar, please. Unlike neighboring Cambodia, you’ll need to exchange your American dollars for bundles of the local notes, kip (exchange rate: 1:8,360). You won’t be able to do much with these outside the country, so make sure you spend them all before you leave. This may prove a challenge. So what’s a baller to do? In a word: relax. 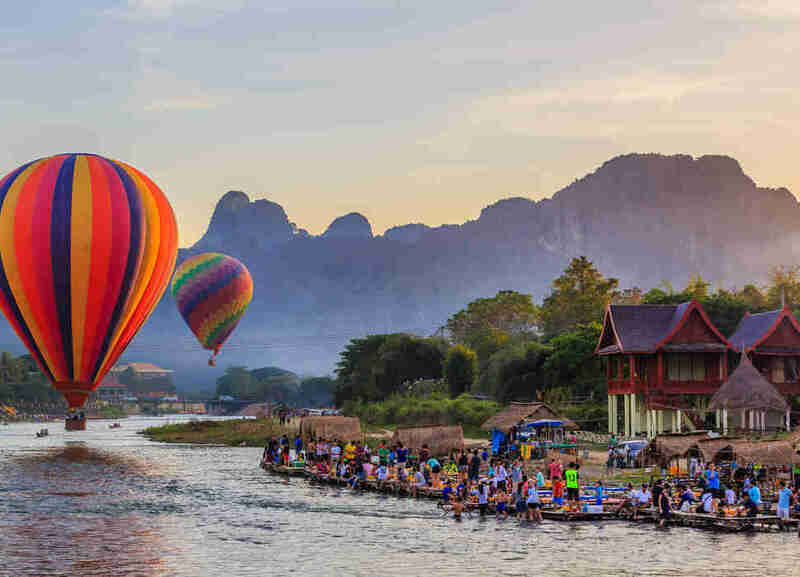 Go to Vang Vieng and float down the Nam Song River in an inner tube. If you get thirsty, just tie up at one of the riverside bars for a drink. If that’s too slow a pace for you, rent a motorbike for $5 a day and visit the region’s breathtaking cliffs and waterfalls. Or head south to Don Det and learn the true meaning of chilling in a $2-a-night bungalow overlooking the Mekong River. They don’t call it the Lao PDR for nothing — Please Don’t Rush. How to roll big on the cheap: Westerners may be pleasantly surprised by the cleanliness, safety, rambunctious nightlife, and genuinely lovely people in Georgia, a former Soviet republic that gives “cheap” an entirely new meaning. In the capital of Tbilisi, the Old City overflows with cafés and ultra-inexpensive wine bars — a nice bottle goes for $5. Your $3 lunch will include organic grilled meat, a fresh salad, and a 20-oz draft. At night, the cobblestoned alleys fill with good-time-loving young people who’ll gladly show you the way to the nearest dance club.You’ll also meet a fair share of expats renting apartments for $150 a month. Snag a bunk for $8 at Fabrika, a former Russian garment factory that’s been converted into a dazzling hostel and community center, or go for something a bit more upscale at a quaint old city hotel. How to roll big on the cheap: Sitting on the southeast border of Mexico, you can spend your days in Belize on the coast, soaking in the white and golden sand. You will hop among tiki bars. You will scope out many a sea creature. Or you can shower the sand off and hike through ancient caves and trek Mayan ruins. 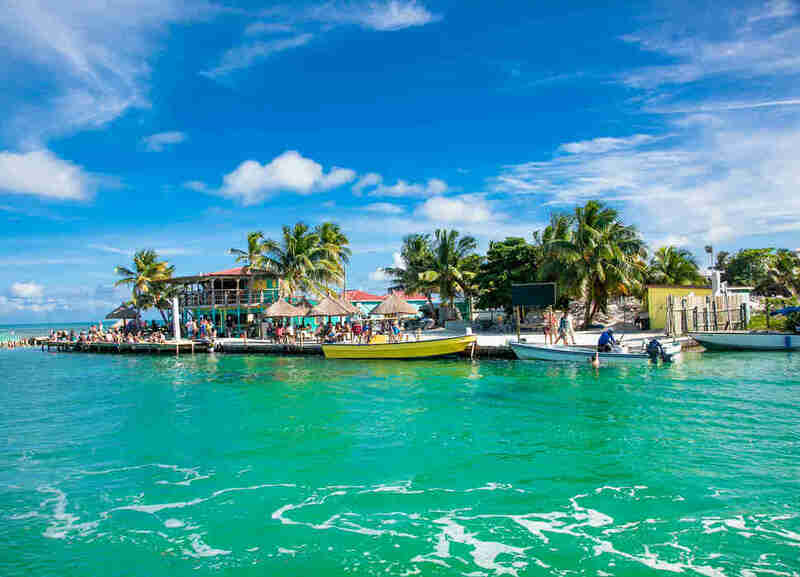 San Pedro’s chromatic beachside hotels can range as low as $15-$20 a night, while Belize City stays are closer to $25. In both cases, local snacks like panades — sort of a fried, fishy empanada — can cost as little as 50 cents. Stumbling on an affordable happy hour while barefoot on the beach won’t be a challenge, either — cocktails will only set you back a buck, maybe two. How to roll big on the cheap: There’s a reason La Paz is a steady fixture on the Latin American backpacker highway known as the Gringo Trail. It’s a high-altitude city with rock-bottom prices — we’re talking $20 hotel rooms and $4 cocktails at steampunk-themed bar Diesel Nacional or psychedelic hippie lounge Cafe Magick. Bolivians are proud of their indigenous heritage, so prepare to encounter traditional culture everywhere. On the streets and in the plazas ladies go about their daily activities in customary cholita garb: oversized bowler hat, layers upon layers of petticoats, and a scowl for anyone who dares point a camera phone in their direction. Pavement vendors hawk meat-and-potato stuffed pastries, chola sandwiches with pulled pork and pickles, and endless permutations of corn. 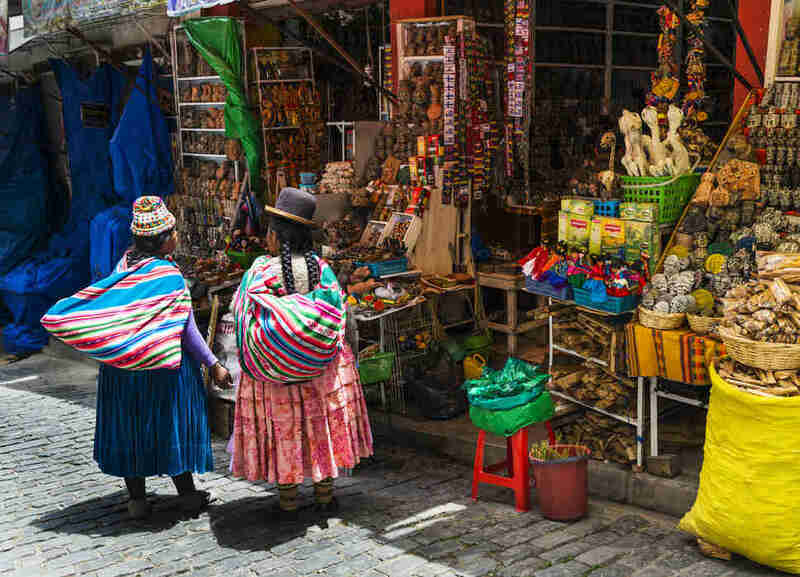 And in the open-air markets you’ll find folk cures for whatever it is that ails ya, from coca leaves for altitude sickness to dried llama fetuses for the chronically unlucky. How to roll big on the cheap: This is your (nearly) English vacation for people who don’t want to pay England’s prices. Skip the luxury seaside hotels and opt for a hostel like YHA Cardiff Central, which offers rooms for as low as $11 per night in the heart of Cardiff’s city center. With a bit of strategy, sightseeing in Wales can be done admission-free. 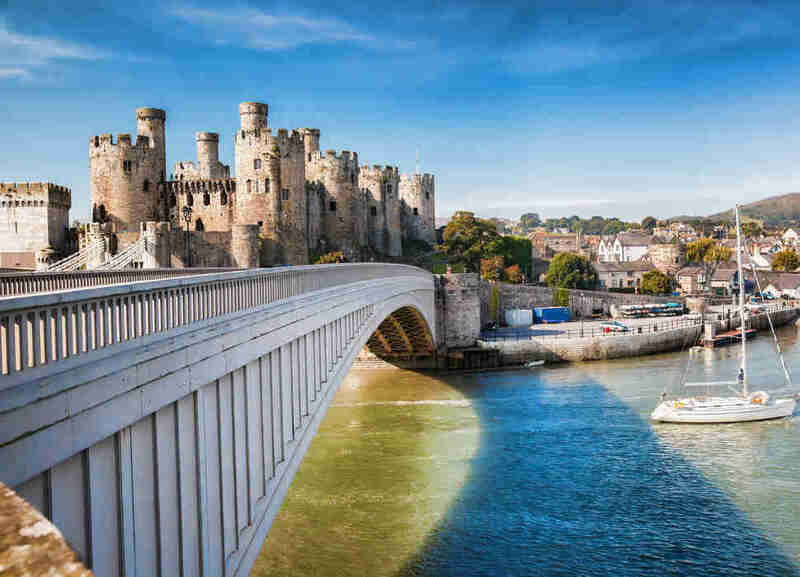 Hikers can take their pick between the Wales Coast Path, which lets you trek the country’s coastline in its entirety, or shorter historic walks like the Teifi Estuary route, which takes you past the 12th century St. Dogmael’s Abbey and medieval castles. Going all the way to Wales without seeing a castle would be like going to Italy and not trying the pasta — a few offer free tours, like Dryslwyn Castle and Dinefwr Castle. How to roll big on the cheap: In Thailand the question should be, how not to roll on the cheap. A beachside hut can cost you as little as $5 a night. Top that up with some pad Thai for $3, and throw a couple of more in for a Tiger Beer to wash it down. Rent a motorbike for $5 and hit the road. 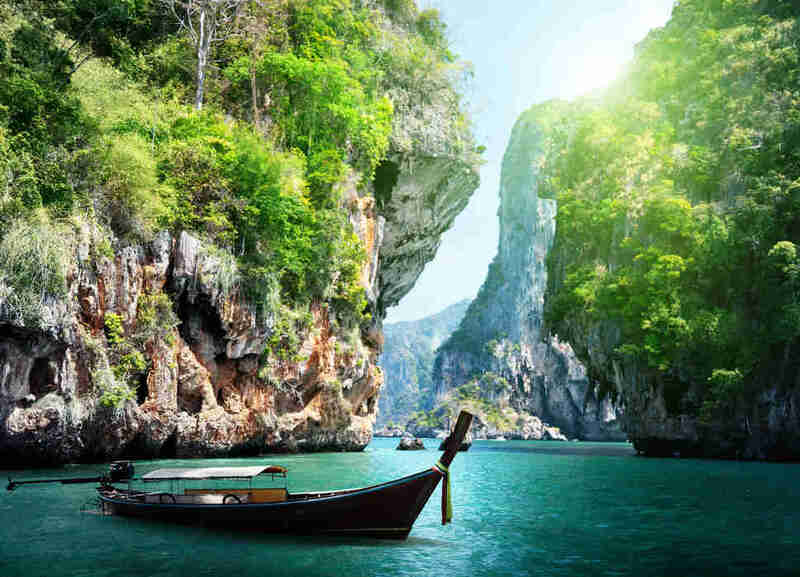 The Gulf of Thailand is well connected by train and boat, allowing you to saunter from one island to the next, indulging in exquisite landscapes and sunsets, that will make the most out of your budget. How to roll big on the cheap: Locals will try to separate you from your money by “guiding you to your hotel,” or overcharging for, like, poor-quality argan oil. Just don’t walk around wide-eyed, and there are many bargains to be had. In Marrakech alone, you’ll find a comfortable double occupancy in a riad for less than $40, breakfast included. Go dirt-cheap and you might score a highly rated hostel for $3 to $6 a night. A luscious meal is $5 or less, entrance fees to attractions and museums are anywhere from $1 to $6, a day trip to Ouzoud waterfalls is only $30, and cosseting at a good yet affordable hammam will set you back $10. Then there’s the shopping. 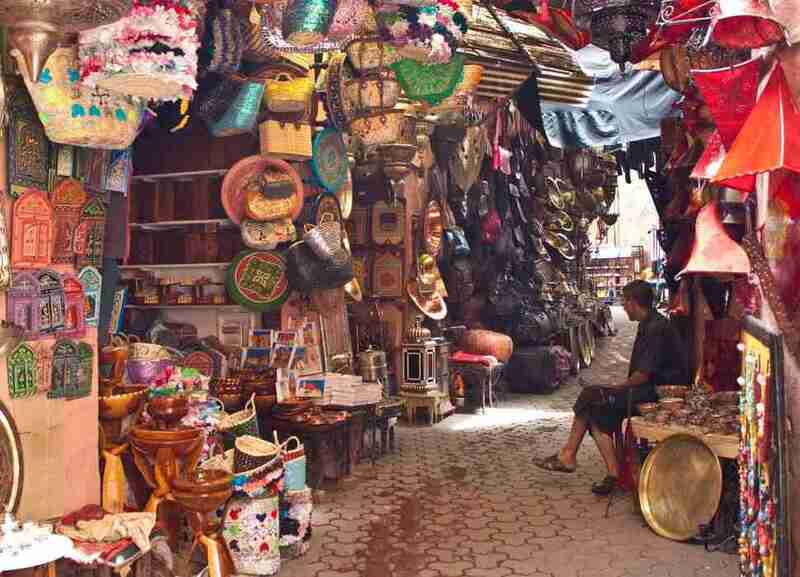 At souks, bargaining is key. Haggle hard and take home a pair of leather sandals for $8 or a well-made lantern for under $20. How to roll big on the cheap: OK, let’s not kid ourselves here. 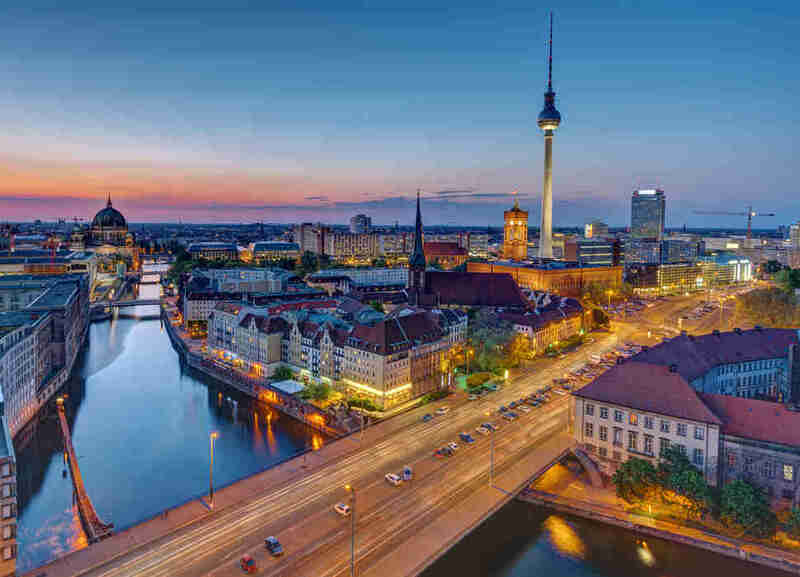 Berlin is going to put your budget to the test; it can be hard to exercise restraint in a city with so much on the menu. But here’s the beautiful thing about Berlin: Everyone here is as broke as you are. Sure, you might knock out a third of your budget — let’s call it $20 — on a room for the night. But after that you’re home free, and in great company. Feeling hungry? Grab a döner ($4). Thirsty? A beer costs $1.50 at the corner store, and they’ll open it for you, too: Drinking on the street isn’t just legal here, it’s encouraged! And don’t toss that empty — bottles come with an 8 cent deposit. During the day, head to a park or to one of the city’s many lakes for an afternoon of people-watching, on the house. Transit is no problem, either: This city operates on the honor system, so if you’re feeling lucky, just hop on and hope for the best (ticket: $3; getting caught without a ticket: $70). The more famous parts of Berlin’s nightlife might be a bit out of reach, but there are tons of popular free (or at least cheap) options for dancing — try Club der Visionäre, Birgit & Bier, Bohnengold, or Paloma Bar. How to roll big on the cheap: Think of the tiniest country in Central America, forgotten by tourists, as a land without selfie sticks. Its long civil war now over, El Salvador still has a reputation as a rough place. But basic common sense will keep you out of trouble, and anyone ballsy enough to make the trip will be glad they did. For a country the size of Massachusetts, it has loads of what can only be described as splendor. Start your day trekking through rainforests or hiking through epic volcano formations. 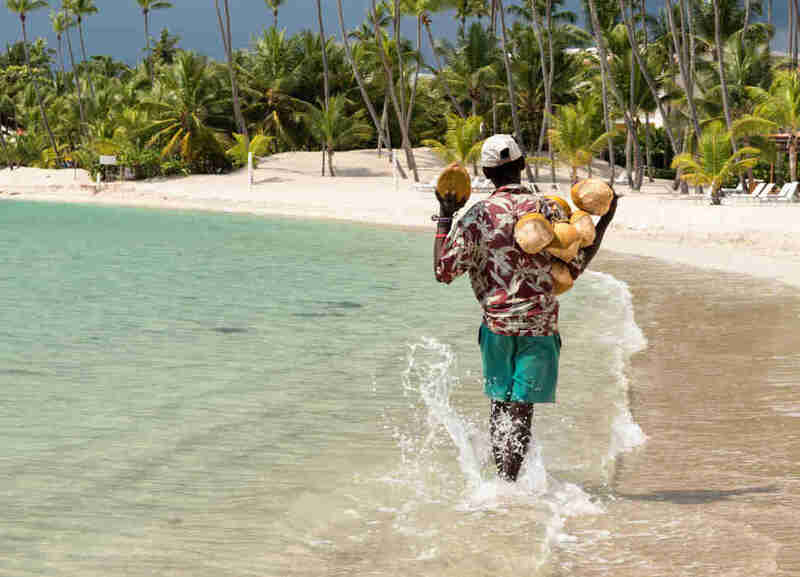 By noon you could be on the other side of the country, jet skiing across a volcanic crater lake or learning how to surf on the Pacific coastline for $10 a lesson. 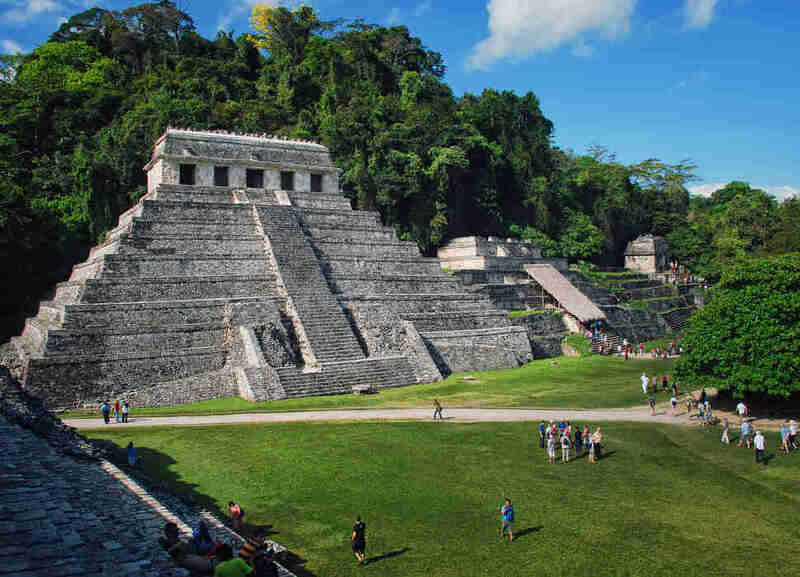 Curious about Mayan sacrificial ceremonies? El Salvador is home to intricately preserved archaeological sites. Getting into national parks and archaeological sites will cost about $3. Hotel rooms can be had for $15 per night; hostels go for as low as $6. Dinner won’t set you back more than $7, if you haven’t already filled up on $1 pupusas. And at $1 per bottle, you can reasonably crush multiple cervezas with every meal. 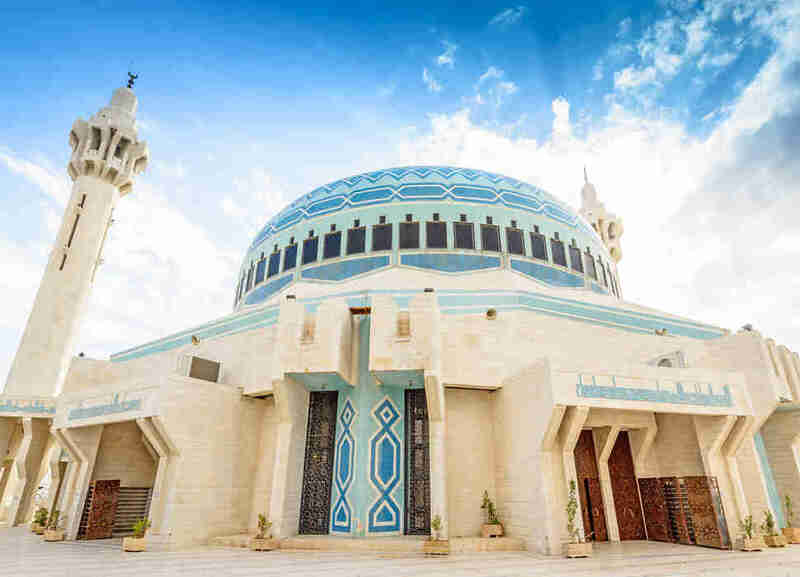 How to roll big on the cheap: Amman has everything you need to get your Jordanian adventure started. Here you can find rooms for $14 a night, while amazing street food (falafel, tabbouleh, barbecued meats in bread — i.e. kebabs) will cost next to nothing. Visit during Ramadan and the city becomes a carnival of exotic foods. From here you can plan your visit to the Wadi Rum Desert for $10 or the Dead Sea for $50. Or just chill with the locals, check out the local Roman ruins, and saunter through the city’s art galleries. How to roll big on the cheap: On a budget, don’t even glance at a resort. Instead, head to a far more charming and quirky hostel, like Macao Beach Hostel. Not only do they offer accommodations for just $10 a night, but the hostel is minutes from Macao Beach, one of the most beautiful and least crowded beaches in the DR, and situated in a small town so you still have access to the essentials. For food, acquaint yourself with the street vendors, who will grill up tasty treats like tostones (fried plantains), croquetas (croquettes), and pica pollo (Dominican fried chicken) made to order for just a few bucks. If you want to treat yourself to a sit-down restaurant, a typical meal at a inexpensive joint is still less than $10 while a pint of domestic beer will set you back two big ones. How to roll big on the cheap: Tourism in Turkey was already having a rough time of it when the 2016 coup attempt more or less brought it to a standstill entirely. Things have calmed down since then, but the tourists haven’t returned in the same numbers. Know what? They’re missing out. The low numbers of tourists have even the nicest hotels slashing prices, and the exchange rate has never been lower. 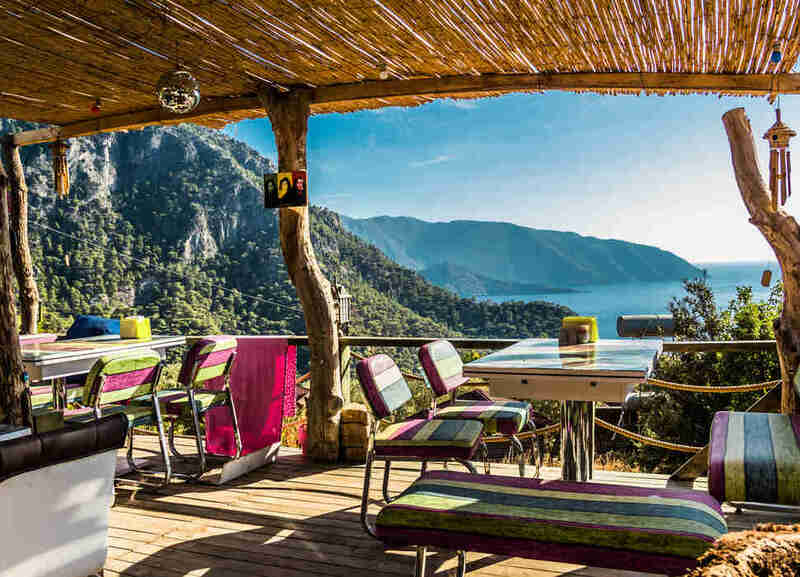 Turkey has plenty to offer a frugal traveler. 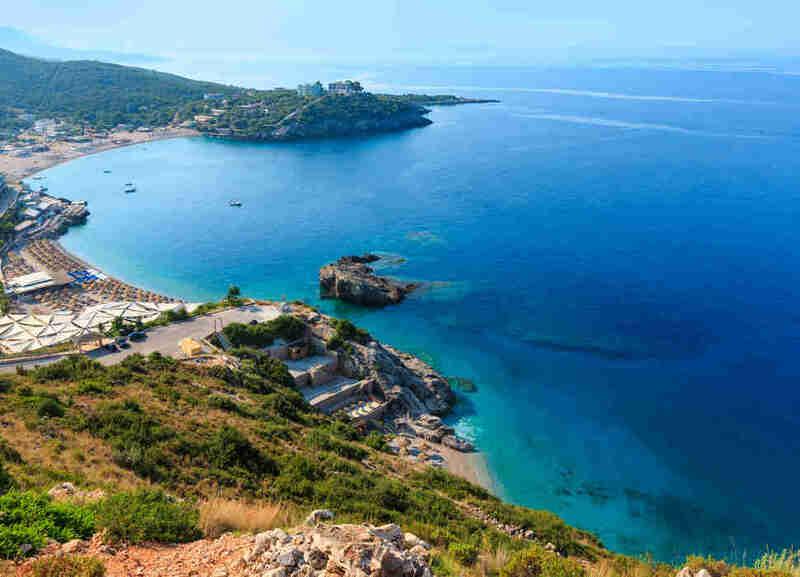 Get the Aegean experience on Turkey’s western coast, complete with crystalline aqua waters, delicious seafood, olives, wine, and better Greek ruins than in, well, Greece. Or head to ancient Istanbul, of They Might Be Giants fame, equally affordable these days: a hostel bed goes for $10-20, a meal is about $8, and a tasty Efes beer runs a cool $2. Looking for a daytime activity that’s easy on the wallet? 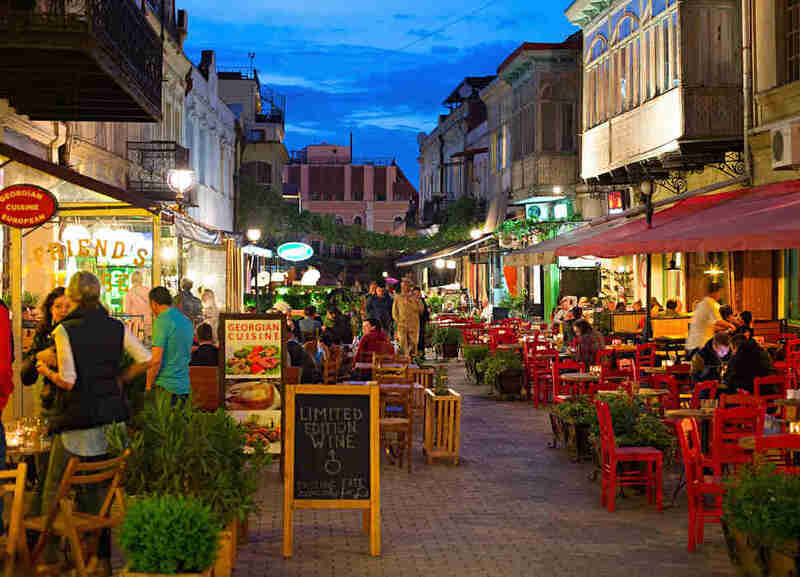 Hop across the Bosphorous strait to the city’s Asian side and add another continent to your belt, or take a longer cruise to the Princes’ Islands and walk around the 19th-century luxury homes; each trip costs just a dollar on public ferries. 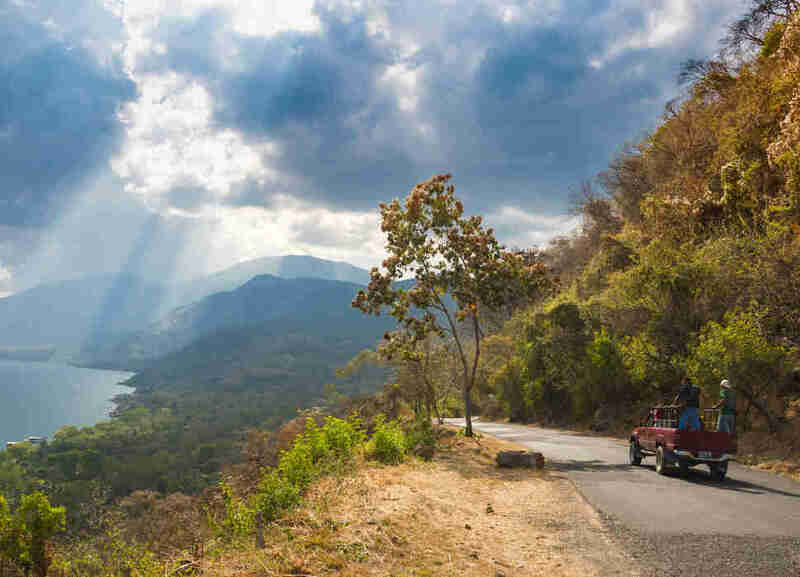 How to roll big on the cheap: To have your mind blown with tropical jungles, canyons, waterfalls, and 2,500-year-old ruins, head south to Oaxaca and Chiapas. Both could use your tourist dollar right about now, to rebuild after a couple of strong earthquakes hit in September. In backpacker-friendly places like San Cristobal de las Casas and Palenque, you can find single rooms at a hostel for as little as $12 a night. Tour companies offer daylong adventures that let you climb Mayan ruins and splash around in the turquoise waterfalls of Agua Azul for around $25 per person. Surfing and hanging out on Oaxaca’s world-class beaches doesn’t have to cost a dime. In Oaxaca city, fill up on a tlayuda, a manhole-cover-sized tostada spread with beans, cheese and steak (or toasted insects, if you’re cool), and you’ll still have pesos left over for a couple shots of the best mezcal on Earth, served right at the source. How to roll big on the cheap: During the Balkans wars of the ’90s, as refugees tried to escape across the Adriatic to Italy, Albania banned speedboats along its coast. 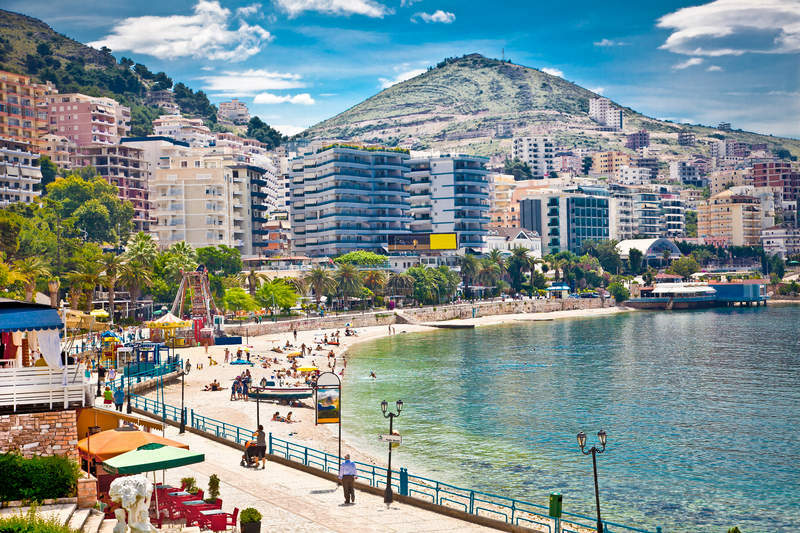 Partly as a result, the country is home to some of the last affordable and unmolested portions of Mediterranean coastline. You’ll find secluded azure lagoons and long stretches of rolling dunes speckled by hardy green shrubs; inland, the Albanian alps provide staggering snow-capped peaks and ample hiking trails. Should you opt for the former, you can easily secure a room with a beachfront view for $10-$15 a night; native beer cost just 81 cents a pint. Uncork some locally sourced Kallmet wine by the sea, or sip some ironwort tea on a mountain. Then eat some Mishavin, a rich curd made by blending cow, goat, and sheep’s milk. It’s usually served in a bag; it’s basically just a big sack of very rich cheese (it’s good with the wine). Fifty bucks, actually, will have you rolling like a Rockefeller in a country where a reliable standard daily budget is about $30. History and beer abound in this formerly Communist country. 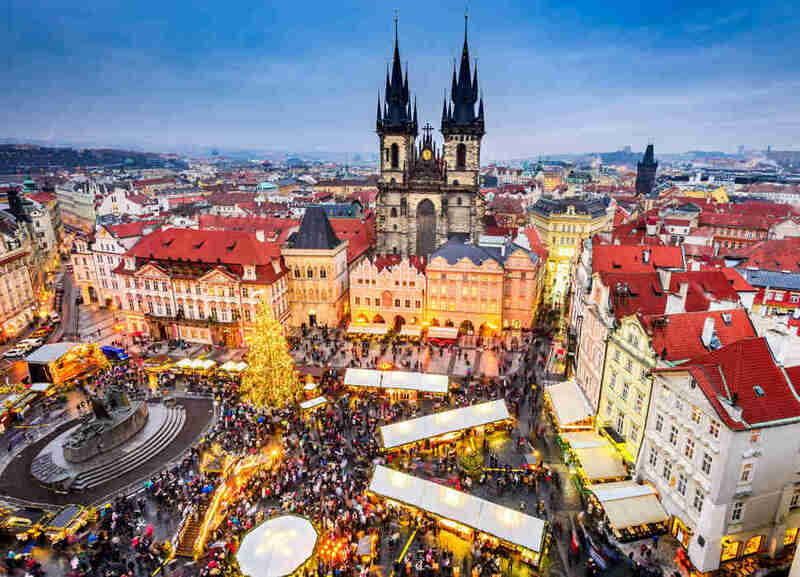 How to roll big on the cheap: You can see most of Prague on foot, ambling down its famously fairytale cobblestone alleys, soaking in the remarkable mix of Gothic, Renaissance, and Baroque architecture. This medieval city delights the senses, and most of its iconic sights are out in the open and gloriously free. Walking tours will usually only set you back a tip for your guide, a worthy investment in a city with so many layers of history right under your nose. Mosey across the Charles Bridge (early morning is best, to avoid crowds), snap a picture at the graffiti-covered Lennon Wall, enjoy the city views from the top of Petrin Hill, and watch the 600-year-old Astronomical Clock strike a new hour in Old Town Square (just be wary of pickpockets). Prague is heavily touristed, and as a general rule, the further afield you roam from Old Town Square the cheaper your goulash and dumplings will be. You can find a pint of pivo for around $2, and street food — think sausage, sweet pastries, fried cheese (Smažený sýr) — can also be had for next to nothing. How to roll big on the cheap: Costa Rica has two stunning, lush coastlines worth exploring — for the most part, hikes are free and waterfall entrance fees are less than $10. Just beware pricey tourist traps; the more well-trafficked areas will hike up prices for food and parking, but a fresh fish dinner can still be had for $5 to $10 at smaller cafes. Instead of soaking in the Tabacon Hot Springs in Arenal (fees are pretty steep at $94), opt for a lazy day of lounging at the Tabacon River. In Tamarindo you can rent a surfboard for $10 before catching happy hour on the beach — many bars have karaoke and will give you a free shot every time you sing.